LeBron James and Golden State's title defense not enough? Here are 70 reasons to watch the NBA this season. With the NBA tipping off its 70th season on Tuesday, here are 70 reasons to watch in 2015–​16, in case Golden State’s title defense and another year of LeBron James’s greatness weren't enough for you. 1. Kevin Durant is back. Hopefully, the return of the 2014 MVP lifts an injury curse that touched far too many superstars in 2014–15. Durant’s comeback from three foot surgeries might be the league’s most intriguing storyline. He’s got a new coach in Billy Donovan, a new-look supporting cast, and an expiring contract that will make him the league’s most coveted free agent come July (assuming LeBron James avoids a third Decision). More importantly, MJ and LBJ both won their first NBA titles during their age-27 seasons. Can KD, who turned 27 in September, keep pace? 2. The Warriors’ effect. Nothing busts myths like a championship, and Golden State’s title run helped put to bed a bunch of “conventional wisdom” that looked increasingly backwards in recent years. Can fast-paced teams adjust to the slower pace of the playoffs and win a title? Can three-point teams without a low-post scorer win a title? Can small ball defenses hold up well enough to win a title? Yes, yes, and yes—now watch as everyone rushes to copy the Warriors’ new modern formula. “Pace and space” will continue to sweep the league in 2015–16, from Chicago to Indiana to Washington and more. Whether anyone can beat Golden State at its own game remains to be seen, but the imitators should help shape a smarter and more entertaining basketball product. 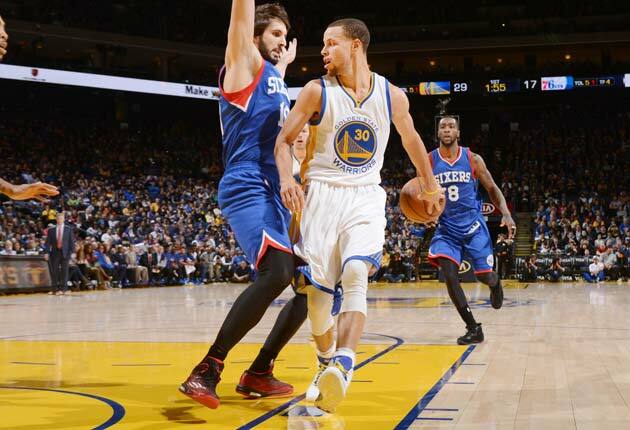 • Chris Mannix: Can Warriors find a way to repeat in 2015-16? 3. Is this Kobe Bryant’s last stand? There are 35 small images on the cover of the Lakers’ media guide, and all 35 depict Kobe Bryant. The mosaic serves as a tribute to his career and a reminder that, at 37, this season could be it. The future Hall of Famer is entering his 20th campaign and the final year of his current contract. After three consecutive season-ending injuries, his future grew even cloudier when his preseason was cut short by a leg injury. Although he has yet to definitively indicate that this will be his last NBA season, Bryant has reached the point where every turnaround jumper and fist pump must be cherished. ​4. Anthony Davis at full speed. What terrors will be unleashed when a frighteningly athletic, tremendously skilled big man is amped up by a fast-paced offense? 5. A deep, varied MVP race that’s already amazing. For the last four years, the preseason MVP discussion mostly boiled down to, “LeBron James or Kevin Durant?” James won in 2012 and 2013, Durant won in 2014, and the binary nature of the race exploded last season when both players, models of consistency and good health for years, finally missed enough time to open the door for other contenders. A number of excellent candidates came racing through to stake their claims: Stephen Curry (the 2015 MVP), James Harden (the 2015 “Players’ Choice” MVP), Anthony Davis, Russell Westbrook and Chris Paul. With James and Durant back, that makes seven strong MVP candidates—eight if you want to add Blake Griffin to the mix. Is it impossible to imagine John Wall, Jimmy Butler or Kyle Lowry catching fire, leading their teams to the East’s No. 1 seed, and forcing themselves into the MVP talk? Not impossible, no. Could Kawhi Leonard sneak into the mix if San Antonio tops 60 wins? Maybe. Can Paul George lead the new-look Pacers back into the playoffs, reassert himself as one of the league’s top two-way guys and generate some “reward his amazing comeback” talk? Perhaps. Suddenly, that same, old two-man race has ballooned into a field of more than a dozen. The best part: the vast majority of these candidates are under-30, setting up compelling conversations that should continue for at least the next five years. 6. John Wall at full throttle. Some of the sweetest music from the preseason has drifted in from Wizards camp, where coach Randy Wittman is pledging to play faster while emphasizing the three-point shot. Washington’s shot selection has been a long-standing annoyance, but the fact that the Wizards’ offense didn’t make full use of John Wall’s exceptional speed and open-floor ability was the real watchability killer. “The shape I was in last season wouldn’t have had me in shape for the system we’re running now,” Wall said in October, before Washington posted a league-best 112.3 points per game during the exhibition season. A totally green lit Wall, surrounded by players like Bradley Beal and Otto Porter who can get up and down, should be a sight to behold. 7. LeBron James, back for more. LeBron James’s sensational 2015 postseason was one for the ages: he averaged 30.1 points, 11.3 rebounds and 8.5 assists while leading a broken-down Cavaliers team to within two wins of a title without either of his All-Star sidekicks. As a reminder, James’s eye-popping playoff lines included: 27/8/14, 38/12/6, 30/9/11, 37/18/13, 44/8/6, 39/16/11, 40/12/8, 40/14/11 and 32/18/9. 8. A deeper, richer Heat. When LeBron James left in 2014, Miami faced an unavoidable question: What happens during the 15 to 20 games every season that Dwyane Wade can’t play in due to injury? A disappointing 2014–15 season didn’t produce an answer—at least not until Duke’s Justise Winslow fell into Pat Riley’s lap during the draft. Now, Erik Spoelstra can turn his attention to developing the Heat’s next potential star whenever Wade’s knees require maintenance. Winslow’s arrival, plus the returns of Chris Bosh and Josh McRoberts and the additions of Gerald Green and Amar’e Stoudemire, should help Miami hold up better in the standings this time around. 9. Zach LaVine’s Slam Dunk Contest defense. After putting together one of the best all-around Slam Dunk Contest performances in years, Timberwolves guard Zach LaVine must defend his crown. Right? Right!?!? 11. Brent Barry in the studio and on the call, improving NBA coverage wherever he goes. Bones may not have the cachet of the Inside the NBA crew, but he’s easily one of the league’s best all-around broadcasters. A well-prepared voice of reason balanced by experience and levity. 12. Indiana’s Paul George problem. The Pacers’ shift to small ball has been met with resistance by one key player: Paul George, the All-Star small forward who is now being asked by president Larry Bird to log more minutes at the four. George made his opinion known clearly in the preseason—he prefers the three—but he’s since come around to the party line. The fact remains, though, that superstars are used to being catered to and they’re used to doing only a reasonable amount of the dirty work. After all, 29 other teams are constantly dangling greener pastures. George’s long-term contract undercuts his short-term leverage, but the Pacers still must tread carefully: their only hope to rebuild a title contender requires George’s total investment. Will Bird stick to his “my way or the highway” approach? Will George win the power struggle and revert to his old preferences? Will Frank Vogel find himself in the middle? Will Indiana need to find frontcourt help at the deadline? Will the small ball experiment shock everyone, including George, with its ability to jumpstart Indiana’s lackluster offense? The possibilities are endless, and only the future holds the answers. 13. Thabo Sefolosha’s comeback. There are a million comeback players to watch this season—Kevin Durant, Kevin Love, Kyrie Irving, etc.—but none carries quite the same ramifications as Thabo Sefolosha, who had his 2014–15 season ended during a confrontation with the NYPD in April. The Hawks wing was found not guilty on all charges related to the incident in October, and he reportedly plans to file a civil lawsuit to recoup damages sustained by injuries to his leg. Will this be a career-altering injury for the 31-year-old Sefolosha? Did the incident cost him his best shot at a title with the Hawks, who advanced to the East finals without him, or can he help power another deep playoff run? How and when will he proceed legally, and how will his fellow players, many of whom have taken public stances against police brutality, react if and when he goes forward? 14. Brad Stevens’s after-timeout play designs. Boston is quickly becoming one of the most copied teams in the league for good reason. 15. Fred Hoiberg’s effect on Jimmy Butler. Understandably, the talk of the town in Chicago during the preseason is the frontcourt logjam and Derrick Rose’s health. New coach Fred Hoiberg will likely need to manage both all season long and both issues could present serious challenges to his vision. If there’s a dependable centerpiece on the Bulls’ roster right now it’s Jimmy Butler, and the physical shooting guard stands to benefit mightily from Hoiberg’s new offensive style, which emphasizes movement and spacing. Butler should enjoy better attacking lanes, more favorable one-on-one opportunities, and cleaner drive-and-kick targets. Is the NBA’s reigning Most Improved Player being primed for another leap? 16. A real rookie season for Julius Randle. The first game of Randle’s rookie season was also his last; just 14 minutes into his debut for the Lakers, Randle broke his leg and set in motion his lengthy rehabilitation. This will be our first chance to see and gauge Randle’s NBA prospects in earnest—prospects that, if the preseason offers any kind of assessment, should be rather tantalizing. 17. A second chapter for Kevin Love in Cleveland. The Cavs’ star forward is due for a reckoning. After an initial year of growth and adjustment, Love will be in a position to prove his value to a contender. 18. A longer leash for Jonas Valanciunas. Raptors coach Dwane Casey has never seemed all that comfortable playing Valanciunas down the stretch in competitive games. A new $64 million extension and the departure of long-time Raptor Amir Johnson should change that. It took three years and many conspicuous fourth-quarter absences to get to this point, but the 23-year-old Valanciunas should finally have more consistent opportunity to prove his on-court worth. 19. Rudy Gobert’s salute. I’ll have some more of this, please and thank you. 20. Craig Sager returns after battling leukemia. And, SI’s Richard Deitsch notes, Sager will do so in good health and with a head of hair. The TNT sideline reporter’s first assignment: Pelicans/Warriors on Tuesday night. A standing ovation is in order. 21. 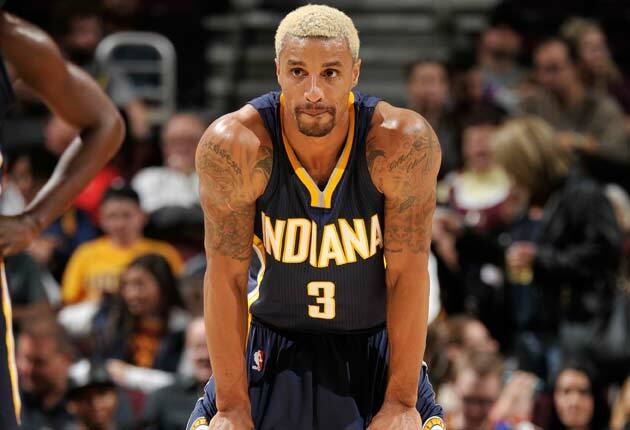 George Hill’s hair. Long live his frosty blonde do. 22. Act III of Detroit’s point guard drama. Andre Drummond’s continued emergence will grab most of the glowing Pistons-related headlines this season, but Stan Van Gundy’s handling of his point guard situation has the potential to be his team’s most important story. To recap: Act I saw Brandon Jennings suffer a season-ending Achilles injury last year after playing some of the best ball of his career. Feeling like his rebuilding project couldn’t wait and, Van Gundy traded for Reggie Jackson and then gave him $85 million over the summer in a bold Act II. While those moves gave Van Gundy some short-term stability and a long-term option, they didn’t provide true clarity. Act III opens with a host of questions. What happens when Jennings comes back? Can Jackson and Jennings—two ball-dominant point guards who aren’t particularly imposing and struggle defensively—play together? Can Jennings play well enough to become a trade asset before the deadline? Can the Pistons afford to let Jennings walk for nothing in free agency next summer? Do they even want to keep him? 23. Russell Westbrook in the flow of Billy Donovan’s offense. Structural changes in the way the Thunder play along with Durant’s long-awaited return should put Westbrook in a position to better leverage his off-ball talents in addition to his dominant streak as an off-the-dribble creator. 25. The clock is ticking on Derek Fisher. The Knicks provided every excuse in the book for Fisher: ill-conceived roster moves, salary-dumping trades and major injuries conspired to ruin his rookie season. This is New York, not Philadelphia, and Fisher can’t expect to receive two straight mulligans. With Carmelo Anthony back and surrounded by a new cast of capable contributors—Robin Lopez, Arron Afflalo, Kyle O’Quinn and Kristaps Porzingis—Fisher must put forward a respectable, professional product. This is his second chance to make a first impression, and he may not get a third. 26. James Harden’s MVP quest. 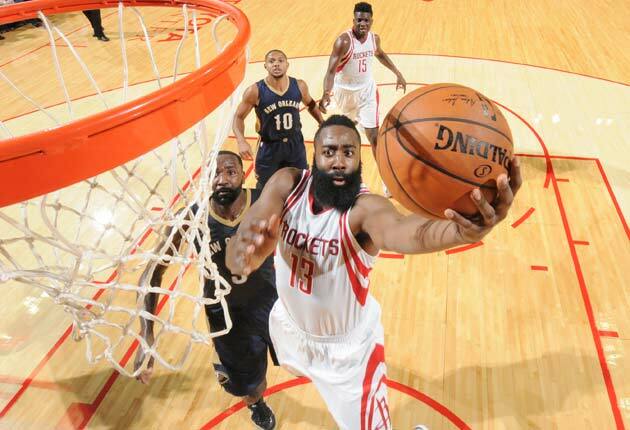 Harden has already made his opinion on last year’s MVP race and result well known. How might that play into his pursuit of individual success and a new backcourt dynamic that could require him to dominate the ball a bit less? 27. Ty Lawson in Houston. You could spend 10 years on Tinder and not find a better match than Ty Lawson and the Rockets. The extenuating circumstances that produced this marriage clearly have the chance to ruin it, but the upside of this player/team fit could be higher than any other offseason move. Lawson fits in stylistically, he fills a major rotation hole, he needed something to play for and Houston’s ready-made roster fills the void, and he should make the Rockets’ best player, James Harden, even better. 28. Preemptive trade market dynamics. In light of a certain salary cap jump next summer and a finite number of impact free agents, might teams show more of a willingness to take on significant long-term salary at the trade deadline? 29. The Thunder’s search for their go-to lineup. Oklahoma City’s roster has a long list of interesting pieces but only three completely known quantities: Kevin Durant, Russell Westbrook and Serge Ibaka. One of the key early-season questions to watch: Can the Thunder settle on a five-man group that has the balance and versatility to play with the Warriors, Spurs and Clippers late in games? ​​The first decision for new coach Billy Donovan: stay big, or go smaller with Durant and Ibaka as his four/five combination? Right now, Donovan’s options include physical center Steven Adams, low-post scorer Enes Kanter, sharpshooting wing Anthony Morrow, perimeter defensive specialist Andre Roberson, glue guy Kyle Singler and chucker Dion Waiters. While there are some “good” options in there, there might not be any “great” ones. Will that force GM Sam Presti to work the phones at the deadline again? 30. The Warriors have transitioned from feel-good overachievers to aggrieved champions. The Warriors ranked No. 1 in wins, net rating and defensive efficiency during their run to the 2015 title, and they’re back this fall, ranking No. 1 in preseason fighting words. Klay Thompson, Stephen Curry, Draymond Green and Andrew Bogut have all taken turns defending Golden State’s championship run from suggestions that they were “lucky” or otherwise undeserving. 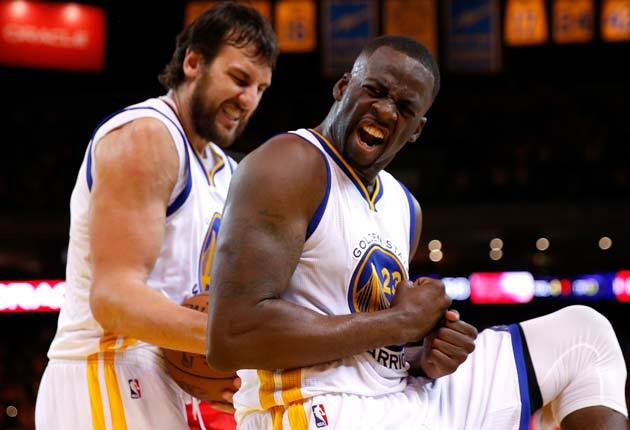 "I've actually got my ring fitted for my middle finger, so they can kiss that one," Bogut told KNBR radio, succinctly summarizing the team’s brash confidence. Title defenses require motivating fuel, and the Warriors’ tanks are filled to the brim. 32. Emmanuel Mudiay takes the reins in Denver. “Teenage starting point guard” is a phrase that can inspire both excitement and acid reflux. In Mudiay’s case, look for hype and hope to win out. Denver’s Ty Lawson replacement is big, strong, quick, comfortable in the pick-and-roll and capable of throwing laser-like cross-court passes to waiting shooters. Get in early before Mudiay masters his jumper and his bandwagon overflows. 33. Toronto will host the NBA’s first international All-Star Game. The NBA has held an All-Star Game every year since 1951, with one exception, and while the event has blossomed into a full-fledged weekend it has never taken place outside the United States. That changes come February, when Toronto’s Air Canada Centre will play host to the 2016 All-Star Game. The timing is excellent: Canada produced the 2013 and 2014 No. 1 overall picks (Anthony Bennett and Andrew Wiggins), the Raptors have made the playoffs in back-to-back years to the delight of their insatiable fan base, and Canadian rapper Drake was born to play host to an All-Star Weekend. Make sure your passports are updated and bring a coat. 34. A healthier Joakim Noah working hard to be Joakim Noah again. Last season was a harrowing one for the former All-NBA center, who was left almost unplayable by nagging injury. Noah looked healthier and more mobile in the preseason—key if he’s to fill any kind of valuable role off the bench for the Bulls. 35. 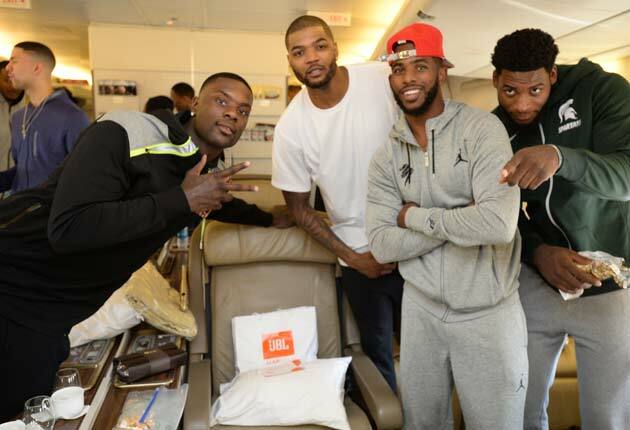 Markieff and Marcus Morris, now separated by almost 2,000 miles. However will they cope? 36. Milwaukee’s evolution. Bringing in Greg Monroe, returning Jabari Parker, grooming Giannis Antetokounmpo, and building on a partial season of Michael Carter-Williams will inevitably take the Bucks to new places this season. The team’s exact complexion following those changes remains a mystery. 37. A slimmer Kyle Lowry. Running longer and burning brighter. 38. 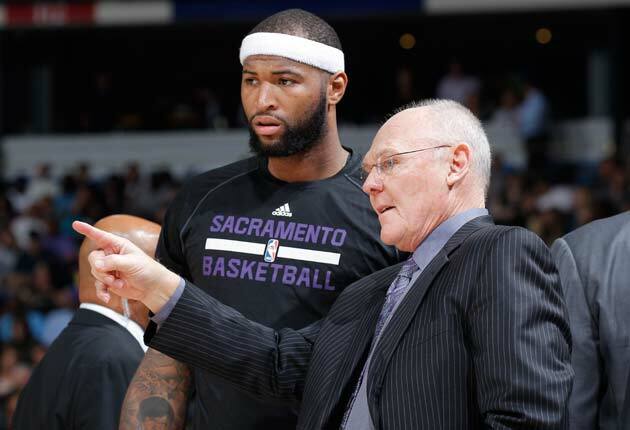 The George Karl/DeMarcus Cousins dynamic. After an off-season filled with trade rumors, passive-aggressive swipes and awkward Summer League encounters, Karl and Cousins, two stubborn and accomplished men, must put their heads together and try to make things work. Fireworks—positive or otherwise—are a distinct possibility. 39. Charlotte finally clearing out room for Al Jefferson to work. Over the last two seasons, the Hornets/Bobcats have ranked 24th and 27th in three-point attempts. A high-volume post player can barely get anything done under those circumstances; perimeter defenders with no reason to respect their opponents’ range can creep closer toward the lane, taking away important angles and counters for players like Jefferson. This year, Jefferson will finally have the room necessary to ply his trade more freely. 40. 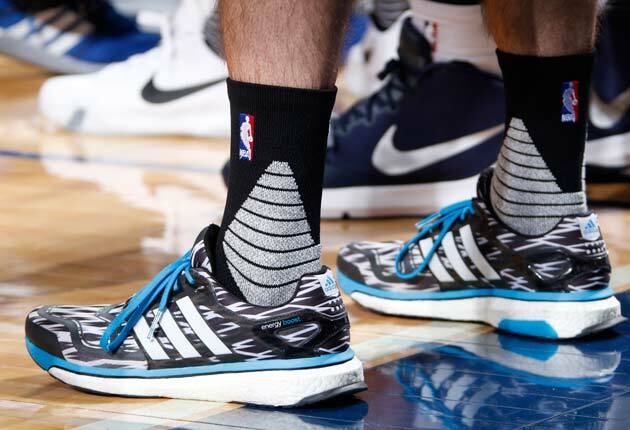 The freelance stylings of rookie Mario Hezonja. Magic coach Scott Skiles might not have the patience for it, but we surely will. 41. Stephen Curry’s behind-the-back passes. Nobody does it better, more often, or in more completely unnecessary cases. The NBA is nothing if not a celebration of those little moments in which style prevails over substance. 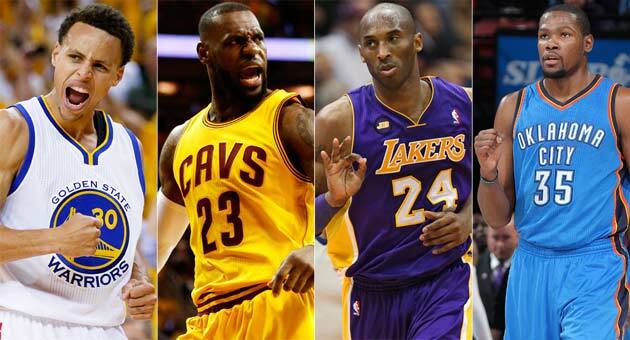 • Entertainment rankings: Who will be most fun to watch this year? 42. The instant replay process is getting a speed boost. The NBA’s referees have long been territorial about the instant replay process. Who can really blame them? Their job is to officiate, so of course they would want to have the ultimate say on controversial calls that might change the outcome of the game. For years, even after the NBA instituted an off-site review command center, respecting the game referees’ autonomy took priority over the speed of the process. Thankfully, the NBA has stepped in with a new setup that utilizes a referee at the command center. Sorry, game referees, some instant-replay decisions will no longer be made by you. Congratulations, everyone else, you shouldn’t need to sit through so many extended replays that immediately look obvious on television but take forever to get back to the officials in the gym! This year, an off-site referee will make the call on goaltending reviews, potential shot-clock violations, out-of-bounds calls, buzzer-beaters, and whether a field goal was worth two or three points. For now, the on-court referees will still handle flagrant fouls, clear-path fouls, altercations and a number of other replay scenarios. Hopefully, however, this important first step will lead to a further shifting of responsibilities down the road. 43. The NBA’s new playoff format rewards the best teams. The 2015 playoffs were significantly weakened by a rule that guaranteed a top-four playoff seed to all six division winners. The 51-win Blazers were gifted the No. 4 seed because they won the Northwest Division at the expense of the 55-win Grizzlies (No. 5) and 55-win Spurs (No. 6), who both finished behind the Rockets in the Southwest Division. As a result, the Spurs were forced to face the Clippers in the first round—a series that, while incredibly entertaining, unfairly pitted two of the league’s top three teams by point differential against each other. This year, the top-four seed advantage for division winners has been removed, a logical change that should create more equitable postseason matchups. Ensuring a totally level playing field within each conference is particularly important because the league’s conference imbalance annually sees five or six contenders in the West and only one or two in the East. 44. A much friendlier schedule. After years (decades?) of complaints, the NBA has systematically altered its scheduling practices to reduce the number of times each team plays back-to-back games and four games in five nights. By easing some of its television constraints, the NBA has managed to cut the “4 in 5s” from 2.3 per team last season to 0.9 this season while also cutting the number of back-to-backs from 19.3 per team last year to 17.8 this year. Will the changes reduce injuries and noticeably improve the quality of play? That still remains to be seen, but the new approach certainly can’t hurt. 45. More time to breathe during the Finals. 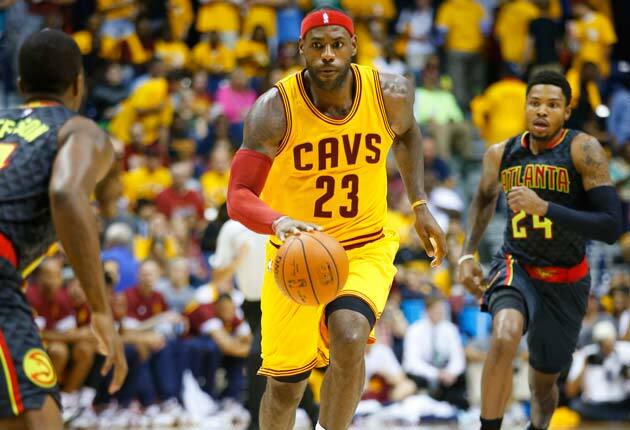 The Finals switched to a 2-2-1-1-1 format in 2014 without building in any extra rest around the travel days. That mistake was fixed in September, when the NBA opted to add at least two days between games whenever the venue changes. More time between games means more time for minor injuries to heal and more rest for players, plus more time for writers and reporters to dissect the series’ developments without stressing over their travel arrangements. Fans can reasonably expect a better product from players and media members alike, especially if the Finals goes to six or seven games and the cross-country trips start to add up. 46. Draymond Green with championship swagger. His speech at the end of the Warriors’ championship parade was only the beginning. 47. The upstart Utah Jazz, however good the may be. Head coach Quin Snyder has already made it clear how little projections and expectations should mean to a club that has proven little. Now it’s on his young, blossoming roster to follow through on their potential. 48. A welcome reminder of Brook Lopez’s talent and skill. The majority of NBA fans will pay the Nets—a team all but locked into irrelevance—little mind this season. Yet the makeup of Brooklyn’s roster will draw a natural spotlight to Lopez’s play for any who happen to be watching. This is a seven-footer who can work with his back to the basket, step out to 20 feet, work nimbly on cuts, and make the most of his rolls to the rim. That combination of skills gives Lopez some impressive utility, particularly for a team in the Nets that could use a boost in so many ways. 49. Zach Randolph, still working dudes over in the post. 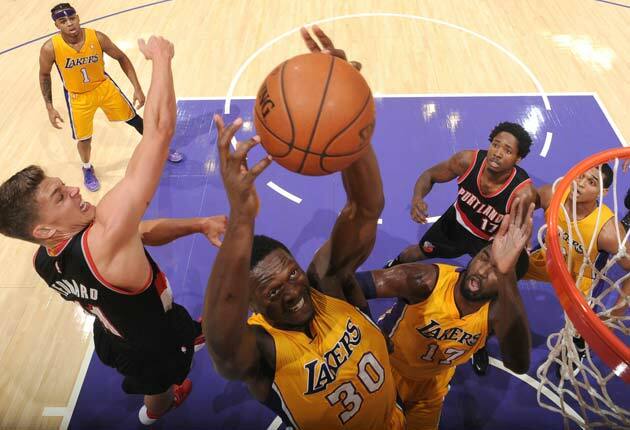 Bodying up Z-bo remains one of the most unenviable responsibilities in the league. Plus, as you may have heard: He’s good with those hands. ​​​50. The active hands and quick feet of Paul Millsap. The scoring is fun and rebounding helpful, but Millsap separates himself as a power forward with his mobility and mentality on the perimeter. 51. The Clippers antagonizing the entire league…and maybe even each other. This team likes to talk, likes to taunt, likes to prod, and likes to win. How that dynamic plays out inside the locker room and throughout the league should make for some great in-season theater. 52. The growing reputation of Khris Middleton. Milwaukee’s $70 million man. Which NBA coaches are sitting on hot seat entering the 2015–16 season? ​​53. Sixers coach Brett Brown doing everything he can to push an ill-equipped roster to competence. Player effort and development are high priorities—and relative success stories—in Philadelphia. But don’t overlook Brown’s tactical work getting the Sixers to take right kinds of shots and work within smart schemes, even if they don’t quite have the talent to pull it off. 54. Orlando, with a steady hand at the helm in Scott Skiles. It's time to begin to capitalize on some of the Magic's collective potential. 55. Kawhi Leonard makes his All-Star debut. Enough is enough. No more weird injuries. This is the year. 57. Damian Lillard and C.J. McCollum are ready to chuck. Last year, Stephen Curry and Klay Thompson combined to average 33.7 shots per game, tops among all backcourts. This year, Damian Lillard and C.J. McCollum will be gunning for the Splash Brothers’ spot now that LaMarcus Aldridge, Wesley Matthews, Nicolas Batum and Robin Lopez all went their separate ways over the summer. During the preseason, Lillard and McCollum combined to launch 36.9 shots per game, with Lillard leading the league in attempts and McCollum ranking third overall. Both players are electric and a bit unpredictable; their brute force approach should keep the Blazers interesting and potent, even if Portland winds up taking a step back in the standings. 58. DeAndre Jordan’s free agency circus gets put to the test. The first time Jordan visits Dallas, he’ll surely face an endless stream of boos. That will be a spectacle for one night, but the season-long intrigue around Jordan will follow him everywhere he goes. Will he be able to develop a better relationship with Chris Paul? Can the Clippers count on him late in games? Will he make his first All-Star Game or claim his first Defensive Player of the Year award? Will he actually see his offensive role increase like he supposedly wanted? During the preseason, Jordan tied for eighth on the team with 4.7 shots per game—placing him behind newcomers Josh Smith and Lance Stephenson, even with Paul Pierce and barely ahead of Wesley Johnson. Is Jordan really going to be cool with that? How long will the “hilarious” emoji memories satisfy him? 59. Second chances for 2014 lottery picks Nik Stauskas and Noah Vonleh. Trades early in the careers of both of these prospects could be for the best. Stauskas, once healthy, figures to be exactly the kind of perimeter shooter and part-time creator the Sixers need. Vonleh, who was selected ninth overall, looks like he’ll find more opportunity to play and thrive in Portland than he would have in Charlotte’s crowded frontcourt. 60. Roy Hibbert in a contract year. The game may be less accommodating for slower, monolithic rim protectors now than it was even a few years ago, but there’s still room for Hibbert to be a vital contributor. If he can center himself mentally and help buoy the Lakers’ woebegone defense, Hibbert could create some interesting (and lucrative) opportunities for himself next summer. 61. 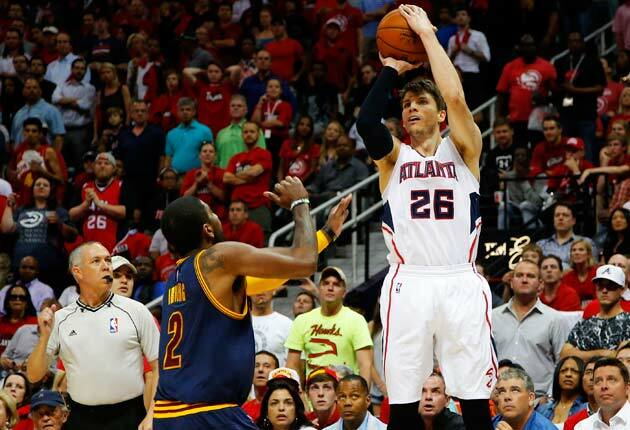 Kyle Korver’s ongoing push for perfection. No shooter in the league is quite so flawless in both process and result. 62. Ricky Rubio putting Minnesota’s roster back in order. At long last a Wolves guard can alleviate Andrew Wiggins, set up the bigs, and allow Zach LaVine to slide over to the much more comfortable shooting guard slot. 63. Wild cards around the league. Toronto’s James Johnson, Atlanta’s Kent Bazemore, Houston’s K.J. McDaniels and Philadelphia’s Tony Wroten for the way they can turn a possession upside-down, for better or worse. 64. Eric Bledsoe as The Man in Phoenix. In college, Eric Bledsoe was overshadowed by John Wall and DeMarcus Cousins. With the Clippers, he took a back seat to Chris Paul and Blake Griffin. After a 2013 trade to the Suns, he shared the rock and the limelight with Goran Dragic and, briefly, Isaiah Thomas. Now, for the first time in years, the hyperkinetic Bledsoe is finally poised to be his team’s alpha dog. How fast and how far can he go with the green light? 65. San Antonio’s big man telepathy. The Spurs have become synonymous with beautiful ball movement, but there will be a new flavor this season when Tim Duncan and LaMarcus Aldridge share the court. Although it may take some time, Duncan and Aldridge should unveil some of the most lethal big-to-big passes the NBA has seen in years. Aldridge is a huge upgrade as a target compared to Tiago Splitter and Aron Baynes, and Duncan commands respect from defenses unlike any big Aldridge has played with during his career. Together, their ducking in, cutting, scooping and sweeping should bring high school coaches around the country close to tears. 66. 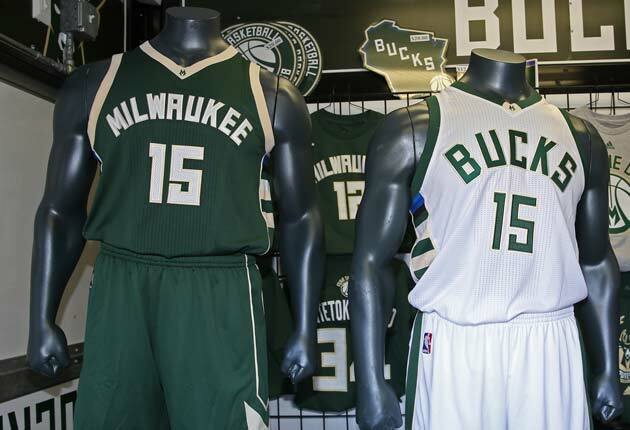 Milwaukee’s new jerseys. Sick. Has any franchise gone from forgettable punchline to “it team” faster than the Bucks? Slick new threads only heighten the appeal of a dynamic young roster. 67. The comeback trail of Wesley Matthews. The Mavs’ new shooting guard ruptured his Achilles on March 5, just a few months in advance of his free agency. He was back on the court on October 23 and is now set to play in the regular season opener—just as he promised. Here’s hoping Matthews crushes the rest of his reacclimation to the court in much the same way. ​​​68. Jahlil Okafor, thrown to the wolves. It’s easy to picture Jahlil Okafor’s rookie season in Philadelphia like a reality show set in the outdoors. 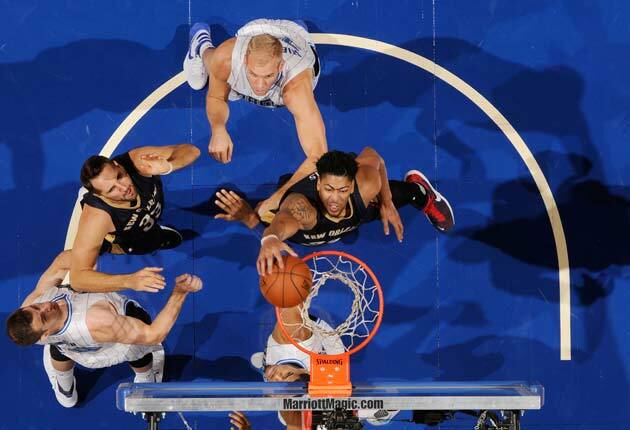 Okafor is being dumped in the NBA’s equivalent of a dark forest (the Sixers’ tank fest) with no communication devices (no proven point guards), a limited food supply (limited shooters and helpful secondary sources of offense), and packs of predators in every direction (the other 29 teams that are actually trying to win). Will his polished offensive game be enough for him to survive? How does he adapt to constant attention and various defensive threats? Will his psyche emerge unscathed from an 82-game season that is bound to be a series of recurring nightmares? And, most importantly, will his progress finally convince GM Sam Hinkie to proceed with the next step of his master plan? 69. Every second that Tony Allen is on a basketball court. When the ball’s in play, watch Allen dig in and unnerve the game’s best perimeter players. When it’s not, track him as he wanders from the Grizzlies’ timeout, goes to great lengths to psyche himself up, and gestures wildly to anyone in his vicinity. One of the game’s great gifts. 70. 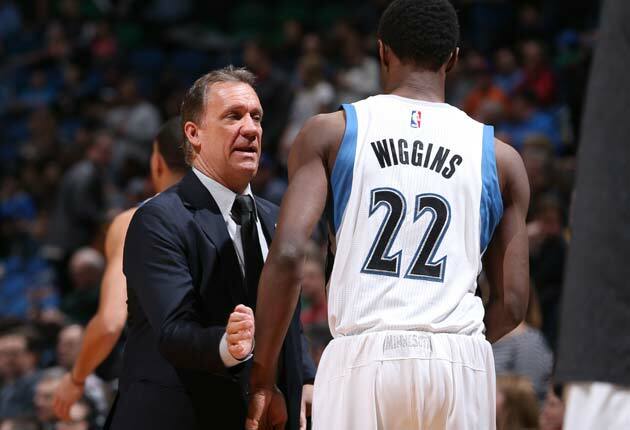 Flip Saunders’s legacy. Cancer took Saunders far too soon. But he left Minnesota basketball in good hands. RIP.